Protecting life and property is mission critical for any Lee County business and requires a fundamental trust in the systems you have in place. At State Systems, we have a long-standing tradition of providing the fire protection equipment, training, and services that businesses throughout the Tupelo, Mississippi area have come to depend on. If your business is located in Tupelo, MS, you have a lot of bragging points—from being the birthplace of Elvis to the largest city of Lee County, and from being a four-time winner of the “All-America City” award to the home of the largest non-metropolitan hospital in the United States. To schedule fire protection services in the Tupelo area, call 866-308-5701 today! Directed by our heritage and empowered by our mission, our team is committed to protecting not only your business investments but also your very life with top-of-the-line fire protection solutions. Whether your business sponsors the Downtown Tupelo Main Street Association or if your office has season tickets to the Tupelo Symphony Orchestra, our professional and licensed technicians at State Systems Inc. can design the best fire protection system for your Tupelo building or office space. 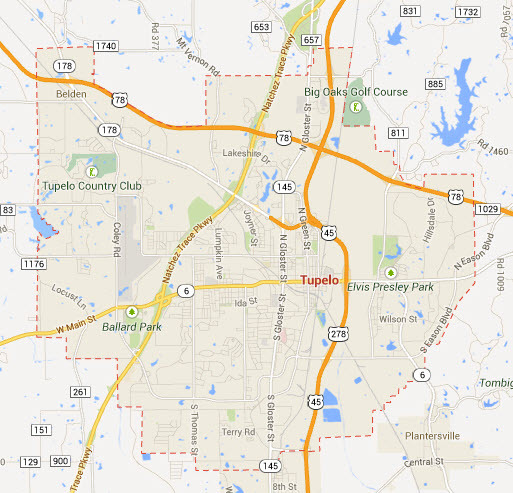 Call 866-308-5701 to reach our fire protection company in the Tupelo area! A fire extinguisher can be your most valuable resource when a fire breaks out – provided it is well-maintained. In fact, going for a fire extinguisher and finding out it doesn’t work can be worse than not having one at all! At State Systems, we can help make sure your fire extinguishers are always available, charged, and ready to keep you safe at a moment’s notice. We take care of fire extinguishers throughout the Tupelo, Mississippi area, with services ranging from fire extinguisher sales and installation to repair, recharge, and replacement. We sell fire extinguishers from most of the top manufacturers, including ANSUL, Amerex, and Pyro-Chem. We also provide fire extinguisher training in Tupelo, Mississippi, so your employees and colleagues will know exactly what to do in the event of a fire emergency in your building. Contact us today for professional fire extinguisher services in Tupelo! Exit and emergency lights are crucial components of any evacuation plan and will help keep you and your employees safe when danger strikes. At State Systems, we take your safety seriously and urge customers to schedule regular inspection of their devices. We have the experience and expertise to ensure your exit and emergency lights are working properly when you need them most.